You'll be £11.99 closer to your next £10.00 credit when you purchase Tracing Your Freemason, Friendly Society and Trade Union Ancestors. What's this? 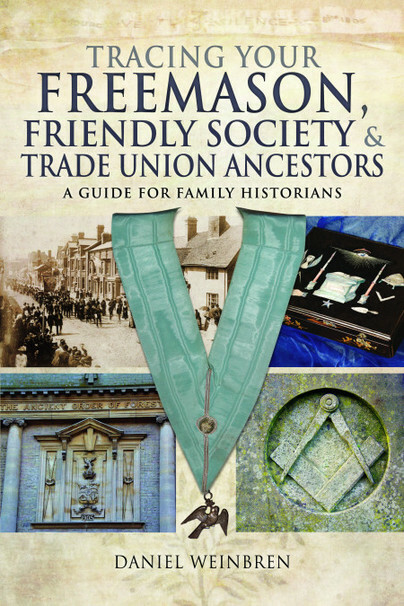 Fraternal and friendly societies and trade unions – associations that provide mutual aid and benefits – have a long, fascinating history and the most famous of them – the Freemasons – have a reputation for secrecy, ritual and intrigue that excites strong interest and has been the subject of widespread misunderstanding. Daniel Weinbren, in this concise and accessible handbook, dispels the myths that surround them and gives readers an insight into their real purposes, their membership and their development over the centuries. He has also compiled a detailed compendium of books, archives, libraries, and internet sites that readers and researchers can consult to find out more about these organizations and to trace the involvement and experience of family members who were connected with them. The origins of these societies are explored as are their economic, social and civic functions and the impact they had on the lives of individuals who joined them. The range of such societies covered includes the popular and international ones such as the Oddfellows, Foresters and Rechabites, as well as the smaller local fraternal organizations. The type of assistance they offer, their structure and hierarchy, meetings and ceremonies, regalia and processions, and feasts and annual gatherings are all described and explained. So much information about these organizations and their membership is easily available if you know where to look, and Daniel Weinbren’s work is the ideal introduction to them. Anyone who has a forebear who was at some time linked with one of these organizations will find his book to be an essential guide to their research.